The residence is situated 7 kms south of Florence, on the Ugolino hill on the former Chianti road between Florence and Siena. 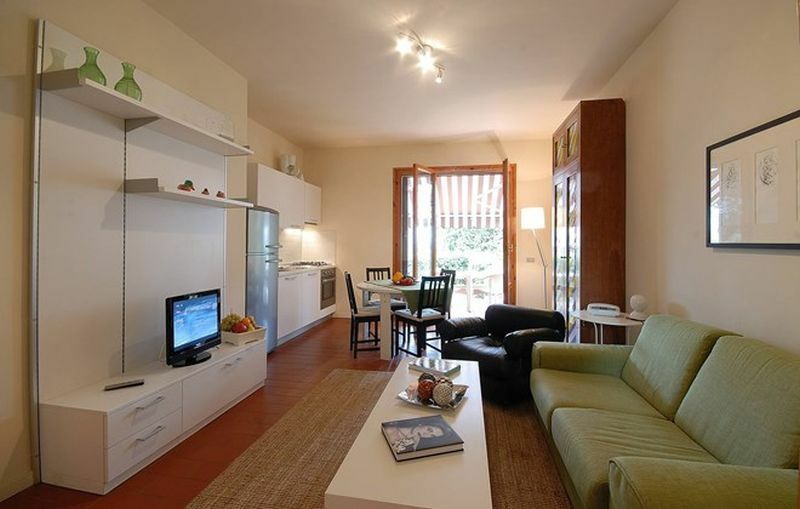 It is 100 m from the famous Ugolino 18-hole golf course and 4km from the shops and 1km from a restaurant. The 36 accommodations feature an independent entrance, a fully equipped kitchen corner with dishwasher, satellite TV (CNN, ZDF, Eurosport), telephone and furnished terrace. At your disposal in our Residence Poggio del Golf: outdoor, non-heated swimming pool (13m x 8m) open from the beginning of May to the end of September, large garden, barbecue area in the garden, fee-paying fitness center, sauna (with entrance fee), laundry room (with entrance fee), children's playground, snack bar, fee-paying Internet point, breakfast service and free outdoor parking. - Tourist tax to be paid on the spot (children under 14 are exempt). L'Ugolino is situated between Florence and Siena, in the beautiful Tuscany region of Italy, a combination of luxuriant nature and fascinating towns and villages. The village of Ugolino is in the Chianti area, just 7km south of Florence.